The internet went wild with news that singer, Dammy Krane, is being held behind bars in the US for credit card fraud. Mugshot of the AMIN crooner, was also shared online. Dammy Krane, has however come out to assure fans that all his well as he took to twitter to share some philosophical thoughts. 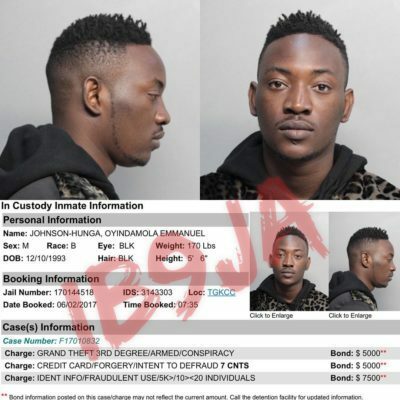 Dammy Krane, who was formerly signed under Hypertek music, successfully already generated over 10,000 reactions on twitter with his arrest story. A post by shakur said that Dammy krane really followed his mentor, Sauce Kid, “to ewon” (prison).